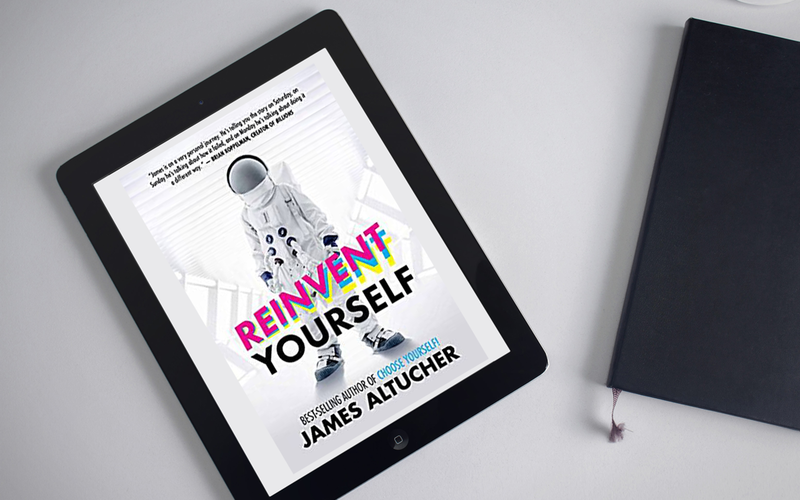 Reinvent Yourself by James Altucher. In his latest book, serial entrepreneur and power blogger, Altucher gets down and dirty about why reinventing yourself and upgrading your skills daily is no longer an option, but a smart move to achieve greater happiness in today’s bullet speed digital world. He comes out swinging in the first few pages discussing the intimate details of a disturbing and frank conversation he had on a flight with a high-level former government official. The official shares with him in cryptic detail what’s really going on behind the scenes with the global economy, how the game is really played up top, and how it’s continuing to level the shrinking middle class. If this doesn’t get your attention, skip this book. It gets better. Altucher shares not gloom, after the opening few pages, but rather a rare look at optimism and possibility to not only enjoy life and work more, but also, stay ahead and have fun at the same time. I’ll warn you: the book is not a paint by numbers, logical, boring business book. It’s eccentric. Daring. A little odd. Engaging. Real. Valuable. Based on his many years as a successful and colossal failure in the world of being a serial entrepreneur, he lays out the lessons learned from both success and failure. For that, I like this book even more. No sugar coating. Straight from the hip advice and wisdom.